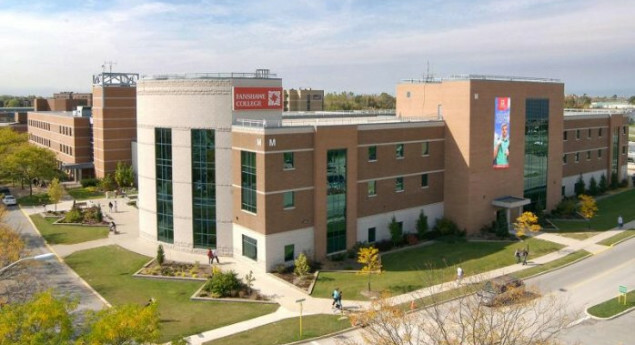 Fanshawe College of Applied Arts and Technology is one of the largest colleges in Ontario, Canada. Its campuses are located in London, Simcoe, St. Thomas and Woodstock, with additional locations in Southwestern Ontario. The London campus was founded in 1962 as the Ontario Vocational Centre (OVC). The first classes were held September 28, 1964, and initially, there were 300 students enrolled. In 1967 it became Fanshawe College, one of a province-wide system of colleges of applied arts and technology. Regional campuses were subsequently established in Woodstock, St. Thomas, and Simcoe. I was a former student of Fanshawe College and have graduated from 2 academic programs there. I can say that I was very satisfied with my experience. Faculty and staff are very friendly and approachable and the school is run very efficiently and professionally. On the academic side, there was an emphasis on applied learning and technical skills which helped me great deal when I went back into the workforce. The campus is also very nice and well maintained with lots of amenities for students. The school is accessible by several bus routes meaning that you can live almost anywhere in the city and not have to worry about commuting, which I found very convenient. I also found London Ontario to be a great place to live, having originally come from Toronto. Overall, I would recommend Fanshawe College to anyone looking into post-secondary education, weather you're fresh out of high-school, or perhaps an older person looking to upgrade your skills. I took Pre-Health Science at Fanshawe College in the fall 2016-17 term and I really enjoyed it! Fanshawe was a great school and I had a lot of fun and also learned a lot! You can create the first Discovery Quest for this site! Fill out 1 correct answer and 3 possible incorrect answers.